A few days ago, someone told me “to know you is to love you, Hayley.” And it got me thinking (naturally) that this saying probably isn’t entirely true. Sure, if you “know me” you get some serious perks: delicious treats come your way frequently, you get to be around my constant smile and happiness and beauty and sparkle so pretty much it’s like being BFF’s with the Queen, and I always ensure I smell good AT. ALL. TIMES. If you love me, you love that I like to wake up at ungodly hours and fall asleep within the 10pm-1030pm range. When I was younger, it was annoying to my parents since I’d wake up at 5 am and watch Sailor Moon. But now I wake up around their time which unfortunately, is is-there-an-earthquake-at-this-hour?-screw-it-I’ll-take-my-chances-in-bed time for Jessie who groans and moans every morning I wake up bright and early by 8am. He also groans and moans when I can’t make it to the third Triple-D stop during Friday night’s 10PM episode. Where did Guy go?! What did Guy try?! If you love me, you love that I write long, elaborate lists. …lists usually pawning off jobs I don’t want to do (like the dishes or vacuuming) to my younger siblings who, by law, must comply with my orders. If you love me, you love that I like to eat in peace, carry magazines with me at all times, and will only eat grape or green jelly. So basically, if you have a dog, put it outside while I eat. I scream enough at our old Lab at home who consistently drives me up-the-wall batty with her begging. Also, some people in the past have taken offense to my carrying a magazine on my person. Why? If I was boring, I’d bring one for you, too (just kidding, kind of) and the jelly? Ew, I will not tolerate anything but. No if’s, and’s or blackberry jam’s about it. If you love me, you love that I drive fast, walk fast, and talk fast (and loud). Uhhh… yes. If you love me, you love that I hate all reality shows except the ones I like and will judge you for liking the ones you like that aren’t the ones I like. So unless you like America’s Next Top Model, The Real Housewives of BH or OC, The Soup (pseudo reality show), Project Runway, Top Chef or sometimes Intervention. I know some people get snickery about the shows I watch (Top Model?) but how sick do you have to be to watch Toddlers and Tiaras? Or Animal Hoarders? At least Tyra isn’t the mom of a prostitot or living in a sweaty room with 500 cats (well, I guess I can’t be too sure of the last one). If you love me, you love that for the past three days I’ve listened to nothing but Gwen Stefani’s “What You Waiting For?” and “Wind It Up” in my car. Because Gwen rocks, but those songs are the only tolerable ones. If you love me, you love that I make you things with cookie dough in it and don’t discriminate my cookie doughs. That means you know I’ve made chocolate chip cookie dough cupcakes, blondies, whoopie pies, bon bons and cakes. Okay, so maybe I discriminate against other cookie doughs justalittle but chocolate chip is good. Classic. But what about the others?! Or… peanut butter? Yeah, PEANUT BUTTER. Notice I have no link, because I have held out on PB for far too long. Now it’s time to pay it forward to this wonderful, rich and creamy condiment of sorts. 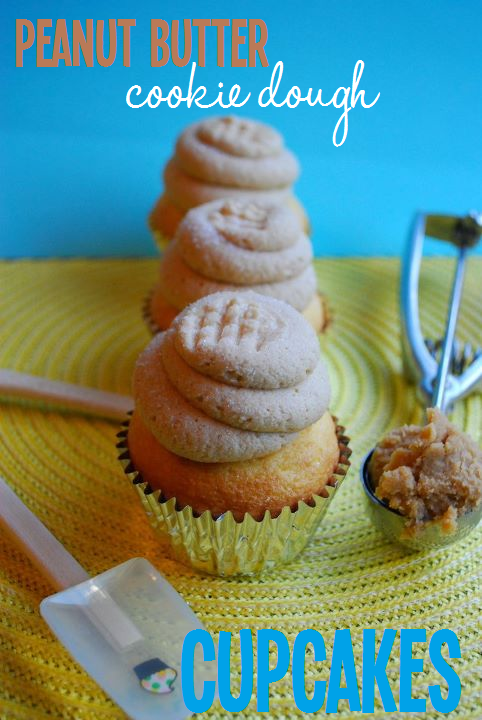 What better way to pay homage to the jar of PB than to stuff some cupcakes with peanut butter cookie dough and top it with a sugared peanut butter cookie dough frosting? Now, I know you’re slightly stunned if not a little bit starstruck. And that’s okay. Let’s just make them so you don’t faint. Yes, miracles do happen. Last one: If you love me, you love that I’m a miracle-worker in the baking department and have single-handedly created a treat so divine, Angel Food cake is starting to become waaaay less angelic. 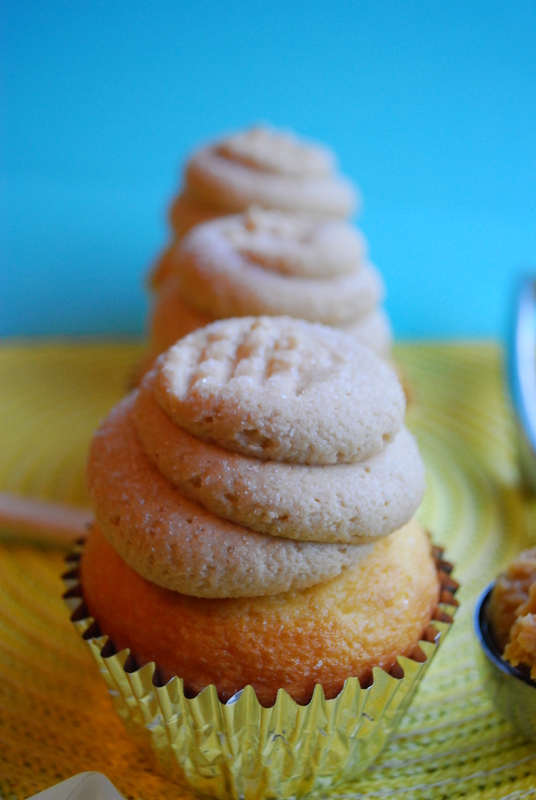 In fact, I am conceitedly renaming these cupcakes to Angelic Peanut Butter Cookie Dough Cupcakes. You’ll have to try them to find out why. 1. Preheat oven to 350 degrees F. Line 2 muffin tins with 24 paper liners and set aside. 2. First, prepare your cookie dough. In a large bowl, beat together the butter, peanut butter, and sugars until creamy and blended, about a minute. Beat in milk and vanilla until combined. Finally, beat in your salt and flour until a thick and stiff dough is created. Roll the cookie dough into small balls (about the size of a nickel or so) and place on a foil-rimmed baking sheet. Pop in the freezer to chill for a bit. 3. Next, prepare your cupcake batter according to package directions. Stir the dry pudding mix into the batter until combined. 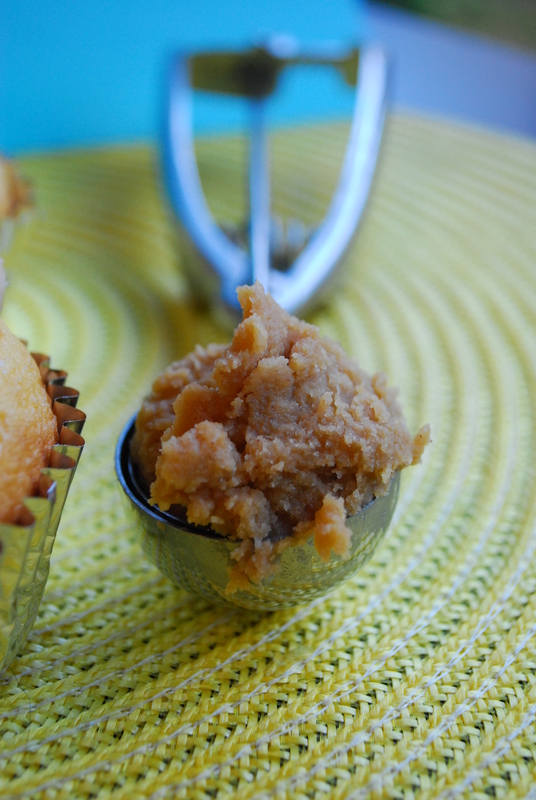 Portion batter, about a heaping 2/3 full, among muffin cups, then bake for approximately 14-16 minutes or until a toothpick inserted in the center comes out relatively clean. 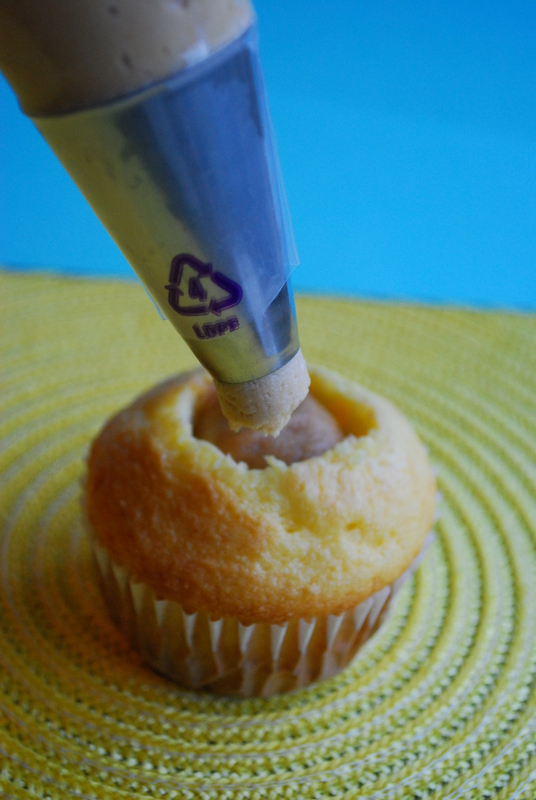 Cool completely, then carefully core the centers of the cupcakes out using a clean paring knife, careful not to cut through the entire cupcake. Discard or eat the cores. 4. 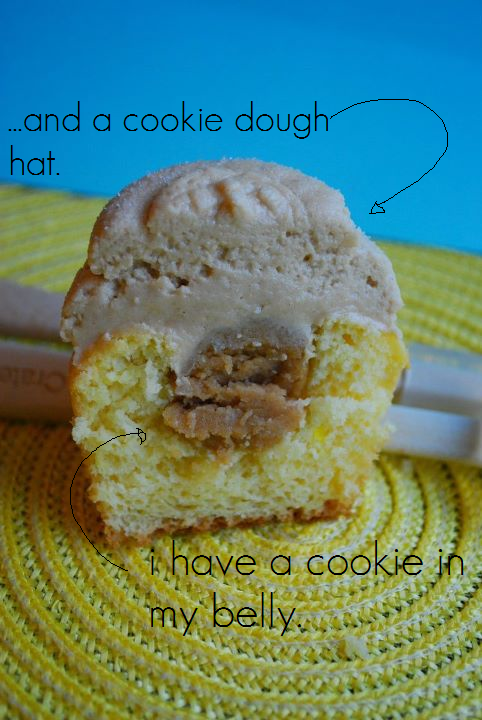 Once cupcakes are cooled & cored, insert a small peanut butter cookie dough ball into the center of each cored cupcake. Smoosh it in gently if you have to. There should be just enough, and if there’s more, consider stuffing your mouth full of the leftovers. Set aside the cupcakes, and prepare your frosting. 1. In the bowl of a stand mixer, beat together the butter, PB, vanilla and brown sugar until creamy and smooth, about 2 minutes. Gradually begin adding powdered sugar, about one cup at a time, until a light and fluffy frosting consistency is achieved, adding milk if needed (helps loosen the thick, pasty frosting). 2. 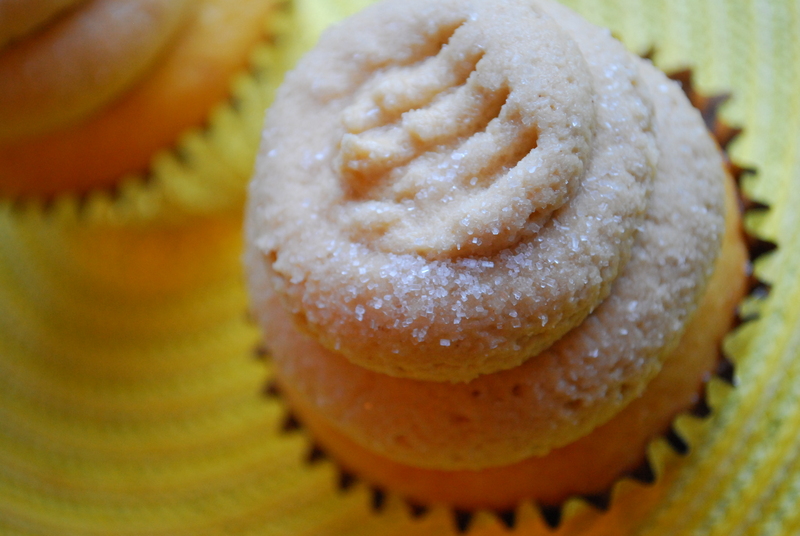 For these, I used an open Atecco 801 tip (find it HERE) and piped a very large circlular blob on top of each cupcake, ensuring I covered the filling hole. 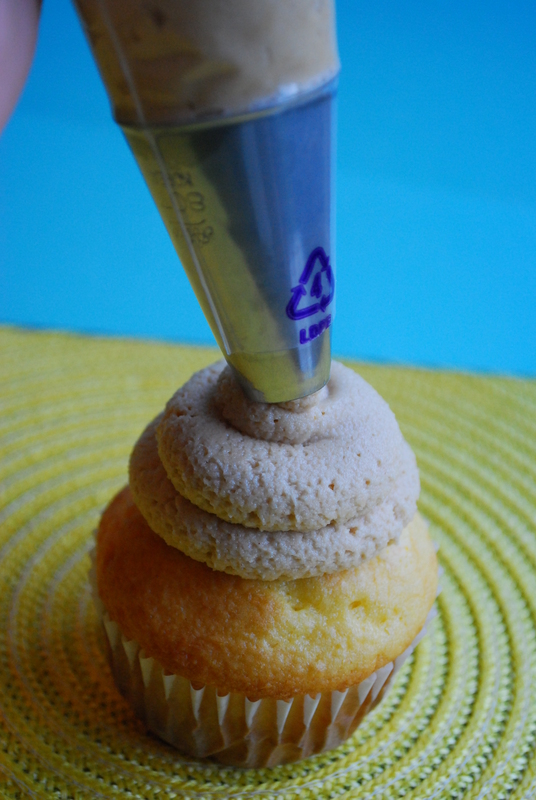 Sprinkle your frosted cakes with white sugar, then use a fork to “stamp” the tops of the frosting like you would a PB cookie in a cross-hatch pattern. Store these airtight in the fridge. So… yeah. I think you love me and I think it’s justified, overplayed Gwen Stefani songs and all. The End. Thanks Dorothy!! I’m glad I have another fellow book-toting/eating-in-light-friend!! Hayley–these look AMAZING! Your pictures are great and I’m sitting here drooling at my computer screen. Well, I’m not a loud talker, but I AM an early riser and make seriously long lists. Sometimes multiple times a day! 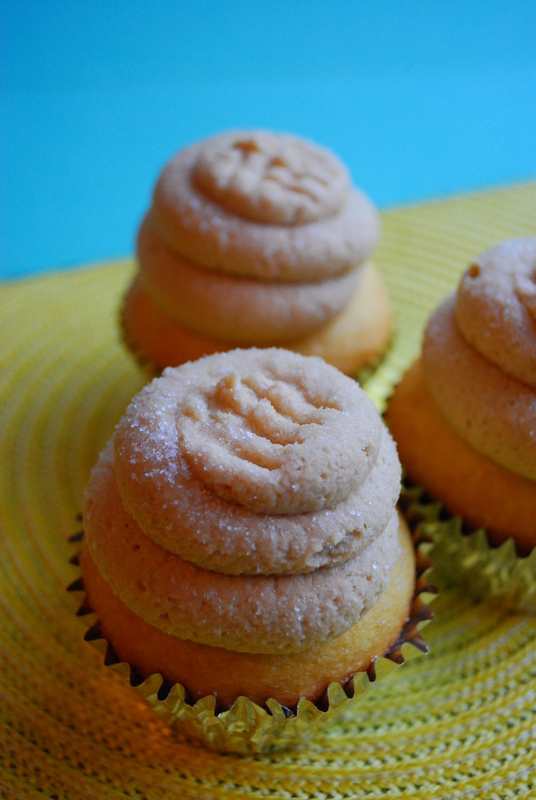 =) On my list for today–make these cupcakes asap! Ashley, let me know how you like them! Oh man, they’re definitely amazing. And I’m glad you’re a fellow list-maker 🙂 we’re hard to come by! Most people are annoyed by our shenanagins I find; however, they’re just jealous. Yum Hayley!!! I want to make these now..It’s been awhile since I’ve made cupcakes but I need to make more to support my cupcake tattoo. 🙂 Thanks for sharing this yummy recipe! I’ll have to add it to the cupcake list! Bridget, I know what you mean! When I go through a cupcake baking lull I feel like I’m letting my ink down, haha. I hope you make these soon; they’re so good. Thanks Jess!! And thanks for stopping by! xo.